Note: Skin creator site is back up! Fortnite is known for its cosmetics that include Outfits (Skins), Harvesting Tools, Back Blings, Gliders and Emotes, which can either be awarded at different levels of the Battle Pass or purchased in the Fortnite Item Shop. The Fortnite Item Shop contains featured items that are only available for a limited time and daily items that reset every 24 hours. Items in the shop change regularly and there is no guarantee that the items will be available in the shop again. There are many different skins that players can choose from and players can even mix and match different cosmetics with other outfits to create a different look. Fans are always submitting their own ideas and suggestions for new skins that should be added to Fortnite. Reddit user Maux01 has created a website where players can make their own Fortnite Skins. Players will be able to mash up parts of skins that have already been added to Fortnite to create their own by editing the head, body, arms and legs. Alignment issues are expected, I’m currently working on a solution to this problem. For now, overlaying multiple pieces can sometimes fix this problem. This is my first development project, I’m still learning so bear with me through the update process. It does not currently work on mobile, I’m working on a mobile version. You can make your own skins by visiting make fortnite skins but please note that this is a tool to create your own skins for art only and there is no way to use these skins in Fortnite. There is a video below showing you how to use the site to make your very own Fortnite Skins. I am hyped for season 5!! I want to make my own skin in fortnite. I think for the people that have a lot of skins. 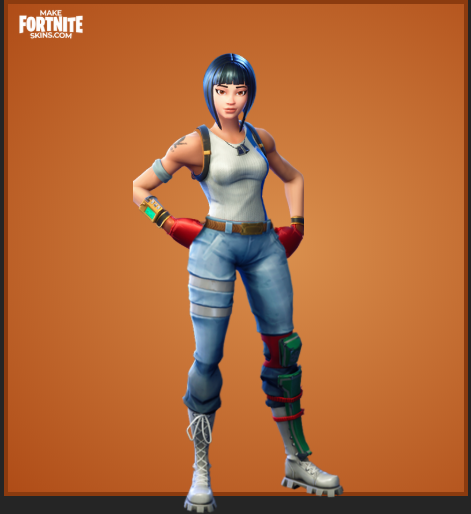 Just an idea possibly make it so we can trade skins in for vbucks. Then each trail 10 vbucks per. It would be extremely awesome. Just chipping in a thought.